Is it officially spring yet?? Well, even if it isn’t, my house is busting through the seems with spring greenery. I have had the honor and privilege of partnering up with my very favorite home & gardens store here in Champaign, IL, Prairie Gardens, to bring you a very easy and effortless way to bring spring to YOU even if it doesn’t always feel like it outside. Well folks, its officially been over ONE week with our Zion Thomas and I couldn’t be more in love. If you stopped in to check out my nursery reveal [HERE] or if you are a follower of mine on Instagram [HERE] then you probably already know a little bit about our traumatic experience with Zion’s birth. I would love to tell the birth story someday, and I suspect that day will come sooner than later but I want to thank so many of you that have reached out offering words of encouragement and sympathies. I wanted this space to be one that reflected neutrality, and comfort while still reflecting affordability. I know how expensive these spaces can be and that is why I hope to share with you some of my buying secrets so you too can achieve an affordable space like this! As a mom of almost 4 I know the importance of convenience and simplicity, especially when it comes to integrating a new member into the family. That’s why I have loved getting my hands on these Graco products. They make transitioning smart and simple! In this part 2 of my “baby must haves” post I am focusing specifically on Graco’s Pack N’ Play® Newborn2Toddler Playard, their Sense2Soothe™ Swing, and their Floor2Table™ 7-in-1 Highchair. Alright alright, with baby #4 I feel like I’m quite the pro when it comes to knowing my “must have” baby items; so I’m just going to call it like I see it and say that these items are absolutely essential for you and your baby. 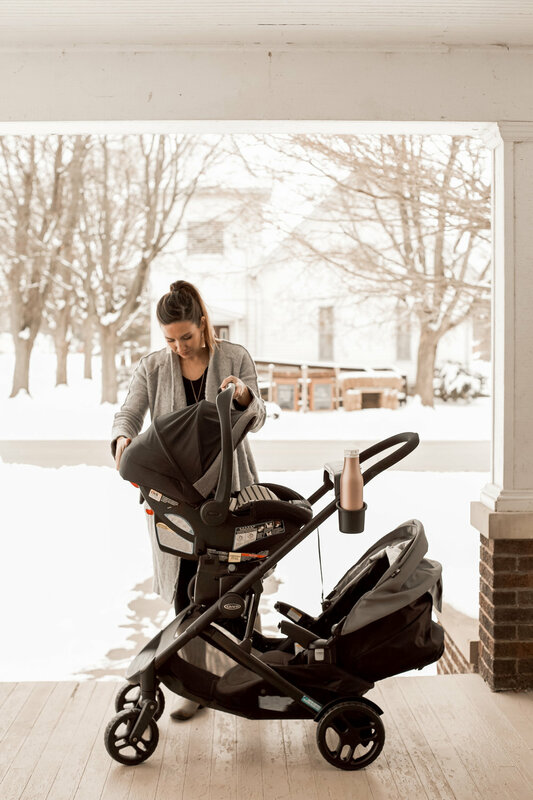 I also wanted to mention first off that I have partnered with the ever so prestigious Graco team to feature some of their latest and greatest baby items, helping to make your transition into parenting as seamless as possible. Whether this be your first child or your eighth, I can assure you (ahem…PRO over here remember?) that these items will make your parenting life so much easier. And I’m going to tell you why with each item. As all of you seasoned parents know simplicity is key when it comes to extra “things” in your life (aka baby items). I’ve had my run at the mill when its coming to baby items and let me tell you, I haven’t found one that is simple enough, effective enough, or quick enough for me to figure out. Although I am easily overwhelmed I will admit…..I have never found a system that just WORKS! When receiving my Modes2Grow stroller I will admit, I was a bit skeptical. 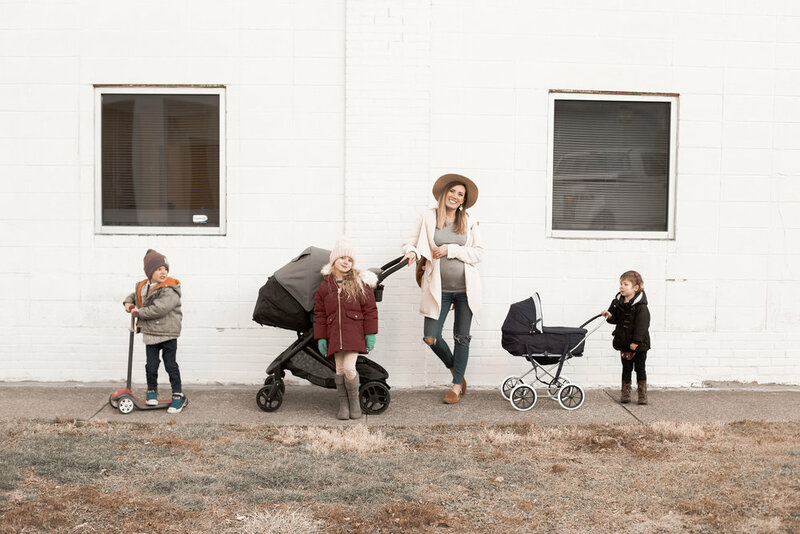 I mean, FOUR strollers in one! How is that even possible, let alone uncomplicated? When we started putting this thing together we were a little overwhelmed with the array of large pieces, however everything was strangely “snapping” into place JUST like the instructions said! There was no “skrewing” or finagling; just a simple SNAP and CLICK here and there and it came together in under 15 minutes! I was thoroughly impressed. 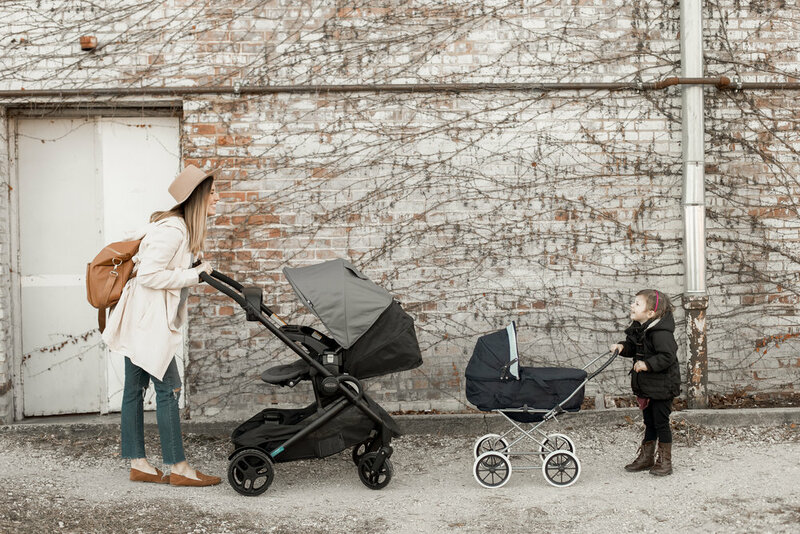 This “machine” (that’s what I’m calling it because of it’s array of capabilities) can adapt your infant car seat, into an infant bassinet, into a toddler stroller, AND into a double stroller! Again, I was a bit skeptical when it came to the whole easy and simplicity of transitioning such a system into all of these things but when the time came for me to try it out, I was once again shocked that everything seemed to unlock and click into their new place with ease! 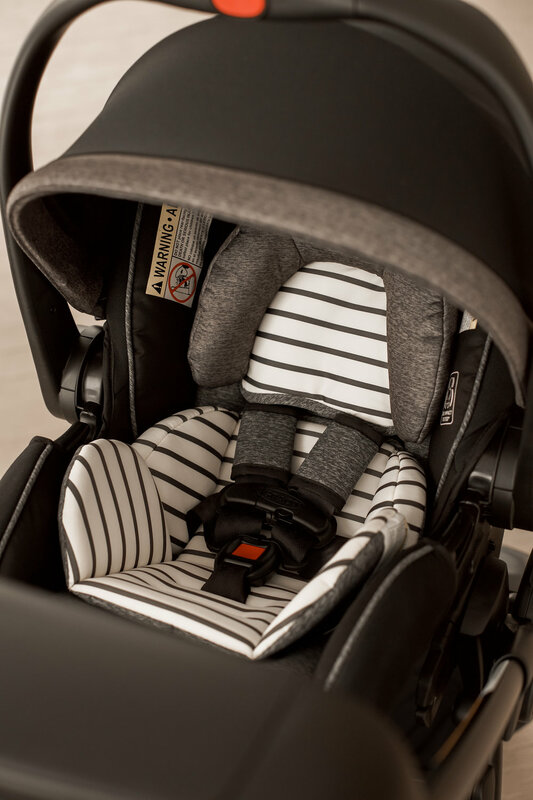 Speaking of this “click in” technology, Graco’s new SnugRide® Snuglock® 35 DLX Infant Car Seat is a dream compared to any other system I have ever used! 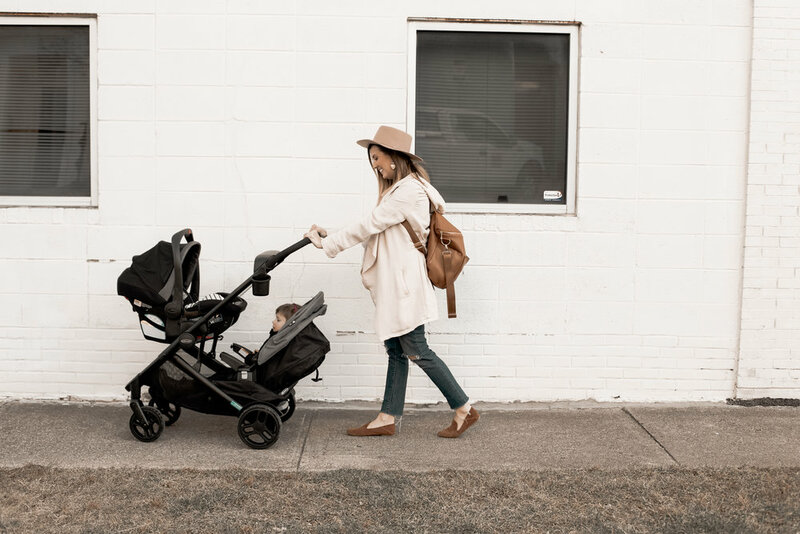 Not only is it equipped with Snuglock® technology, making the security and well-being of your child first and foremost but it’s compatible with all ClickConnect™ strollers and bases making transitions all the more seamless when moving your child around. 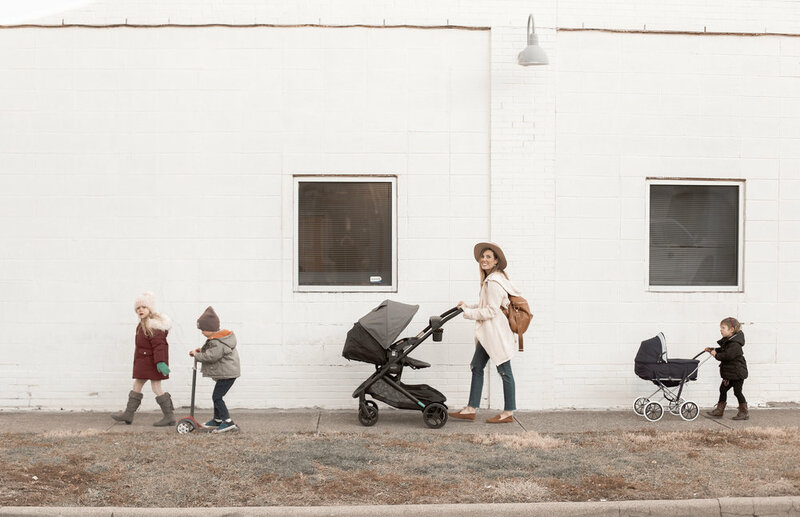 It’s lightweight design makes carrying your child all the less “back breaking” and I have to admit, it’s one hand adjustable handle might be one of my favorite features of all! It’s the little things people! What I love about this click in technology that Graco has implemeneted into their designs is that they have truly engineered their systems to work in accordance with the mind of the “average parent.” Truly! You can tell that they’ve really honored and listened to the voices and common senses of the parents that they are providing these items to. And it’s a breath of fresh air! Not only are their items advanced technologically speaking but they are affordable too! Check out the rest of the items from this Graco Registry Collection [HERE] and don’t forget my Part 2 post coming later this month! As always, thank you so much for stopping by and be sure to check out some more of my posts below! For the longest time I was wanting to do floor to ceiling board and batten walls and so when it came time to start thinking about nursery details I called in a favor from my hubby to make this vision come to life. And like always, he did NOT disappoint. We will be doing a tutorial soon here so that you guys can take the board and batten plunge if your heart so desires! Jumping into the winter season is hard, especially if you don’t LOVE the cold temps. However, what if I told you that learning how to properly stack your closet in the coziest of ways can make your dislike of winter slightly better?? Well, if I haven’t convinced you yet, I sure am going to try!